I wrote a few posts ago about my EOS 5D Mark IV coming back from a C-Log update with firmware 1.1.0 and now there’s a new firmware update, version 1.1.2 available for all cameras. 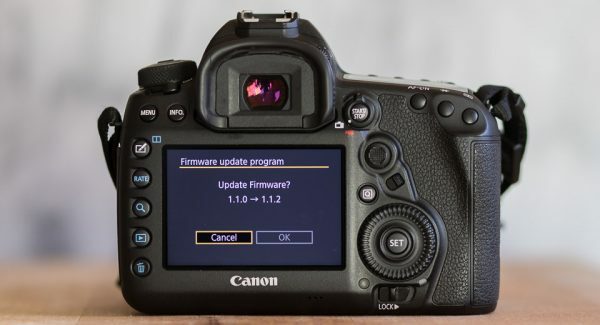 Well that’s a coincidence, I wrote a post on 30th March about the odd version of firmware in my camera following it’s C-log update, and then when I checked Canon’s site just now I found that there was firmware update version 1.1.2 available. Most of the update is related to the newest Tilt-Shift lenses, but there’s also fixes for shooting movies with the Camera Connect app and for cameras like mine with the C-log update. As the notes below say, make sure you have also got the latest Digital Photo Professional software too. Firmware Version 1.1.2 is for cameras with firmware Version 1.1.0 or earlier. If your camera’s firmware is already Version 1.1.2, it is not necessary to update the firmware.